Jan 09, 2019 (China Knowledge) - Baidu will be partnering up with California-based autonomous delivery startup Udelv to develop self-driving software to be used in autonomous vehicles providing delivery services to American retailers such as Walmart. The delivery services will be operated along with robo-taxis developed by Alphabet Inc’s (Google’s parent company) Waymo, pitting the Chinese search giant against one of its largest rivals in the self-driving arena. 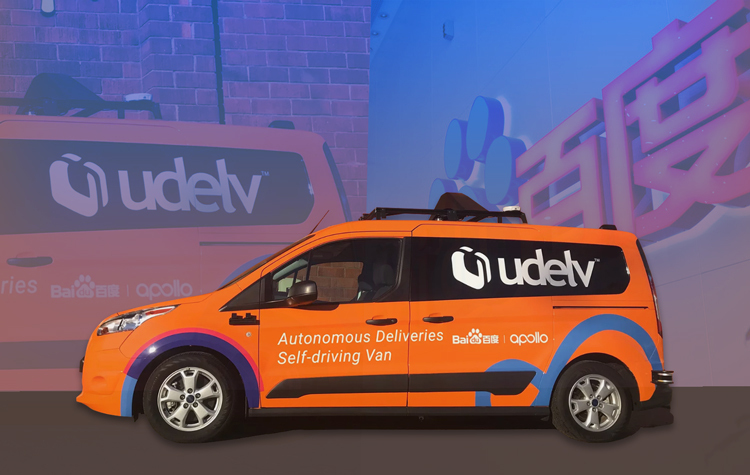 Under the partnership, Baidu’s latest open self-driving platform, the Apollo 3.5 will be used in Udelv’s new self-driving van which is designed to provide middle-range and last-mile delivery. Baidu’s Apollo 3.5 platform is the first open source autonomous driving platform that is capable of operating in complex urban and suburban environments and will greatly speed up Udelv’s development cycle. Udelv which was founded in 2016 has now completed more than 1,200 deliveries on public roads in the San Francisco Bay Area. The company has entered a trial service deal with Walmart with the latter likely being one of the first retailers to integrate autonomous deliveries into its service offerings. In addition to this latest partnership, Baidu also launched its Apollo Enterprise suite of self-driving solution during the CES electronics show in Las Vegas. Some of the products available include valet parking and autonomous minibus solutions among others. Baidu is also planning to launch a fleet of 100 robo-taxis in the city of Changsha in China where the taxis will be able to communicate with intelligent road infrastructure to carry out autonomous driving.